The Meguiars High Volume Sprayer fits all Meguiars spray bottles. All white in color and a trigger handle ready to fire. 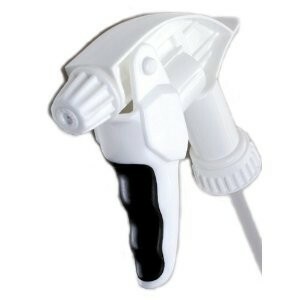 Just aim, pull the trigger and say hello to cleaning your boat the easy way! Allowing 3-times the volume in one trigger pull of the standard Meguiars sprayer, the Meguiars high volume sprayer helps cut time and effort off cleaning your boat.